Mindful Echo weighs the beans of organic, fair trade, and local coffee choices. Before I started university, I worked for a spell at a local coffee house (shout out Seattle!). Before that job I had never enjoyed a cup of coffee, much less knew how to brew a pot. Sure, I'd dabbled in the sugary, syrupy, iced cappuccino craze - but those are basically milkshakes. (Don't misunderstand me, I LOVE me a big ol' dessert coffee on occasion.) It wasn't until I learned the ins and outs of brewing a decent pot of coffee, pulling a nice shot of espresso, recognizing good crema, and knowing the temperatures and techniques for steaming milks, that I started to gain an appreciation for all things coffee. A decade later and I still swoon over the smell of freshly ground beans. While most of these choices can boil down to personal preference, the decision I often struggle with the most is selecting between fair trade, locally roasted, and organic. When I can find a brand that offers all three of these choices, it's ideal. Unfortunately, depending on where I'm shopping, I'm not always so lucky. Here in Nova Scotia we're lucky to have access to some great options, including Just Us! Coffee, Anchored Coffee, Full Steam Coffee, and Laughing Whale Coffee Roasters (as examples that I have personally enjoyed). These companies offer a transparent process to their customers through their website content, allowing us to make an informed decision about which philosophies we agree we and enable us to feel confident that their business practices reflect the values that a fair trade business should uphold. But what happens when you are offered a choice between fair trade and organic? Or organic and locally roasted? I think that it's important to prioritize the fair trade element and be conscious when I'm enjoying my morning indulgence that people have worked hard to allow me this luxury. It makes sense that supporting the local businesses that facilitate the fair trade relationships is crucial, especially since the trade-off means giving more power to Big Business that has no incentive to foster such practices. Being gentle with the earth is so important to me and so, like with other product usage, knowing that our beans are grown and harvested under organic regulation is reassuring. Although I do recognize that "organic" and "fair trade" can, unfortunately, be subjective ways of qualifying products and practices without universal regulations...but that's another post entirely. It goes without saying, I think, that quality, flavour, and price do also factor into the coffee-purchasing decision. After all, if a cup of coffee isn't delicious, what's the point? Eco-novice finds party favors on Etsy. 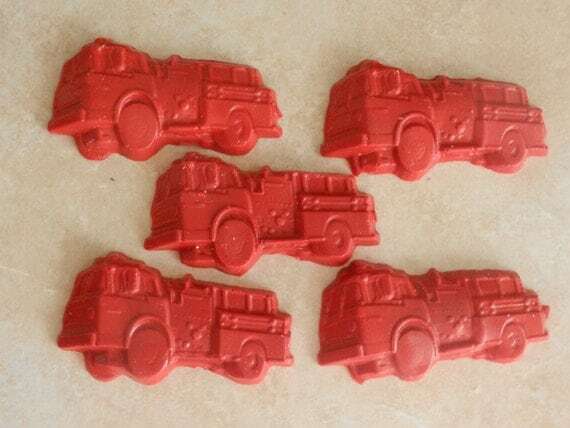 While spending too much time searching Etsy for affordable kids' party favors, I found many additional possibilities depending on your price range (items range from about $1 to $5 each). 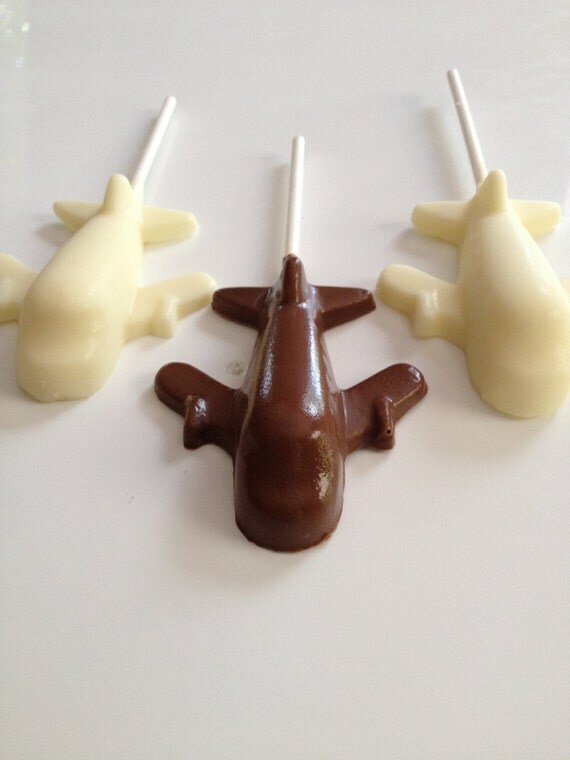 I've also pinned all these on my Kids' Party Favors from Etsy board. 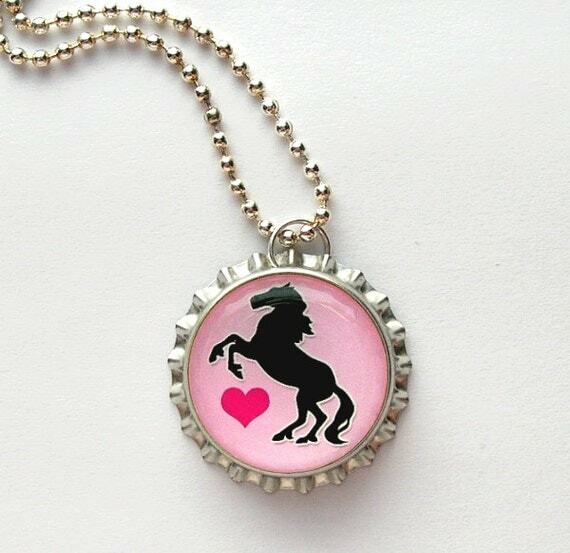 So the next time you are searching for party favors, try Etsy! Now that my youngest daughter has been toilet trained for over a year I have a green confession to make: I used disposable diapers on my daughters. 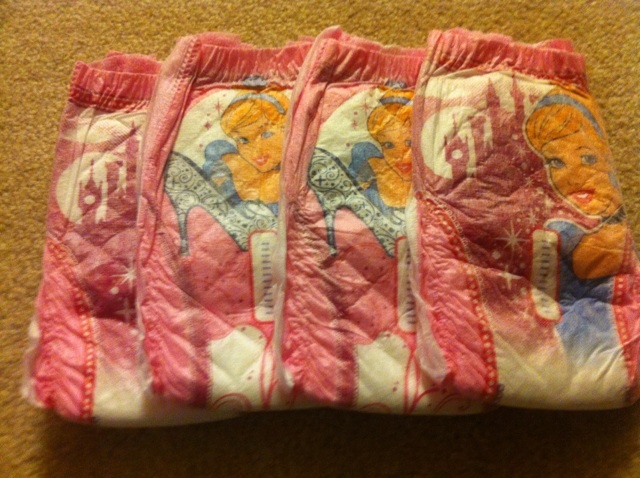 I love cloth diapers and used them with all three daughters. I bought my first set of prefold diapers before my oldest daughter was born, almost ten years ago. This was a bit of a challenge at the time because the only store where I could buy cloth diapering supplies was in the only baby boutique I knew of in the city. This was before we were inundated baby boutiques and I remember people wondering about spending money in an overpriced baby store when I could just shop at Babys 'R Us. It was the same store where I bought my first sling, and some people were surprised I would spend $50 on "a piece of cloth". My cloth diapering stash is quite large. I have several dozen prefold diapers, half a dozen or so diaper covers, perhaps a dozen one-size pocket diapers, micro fleece and hemp inserts, a dozen or so cloth training pants, Snappi diaper fasteners, two diaper bag wet bags and several laundry bags for soiled diapers. 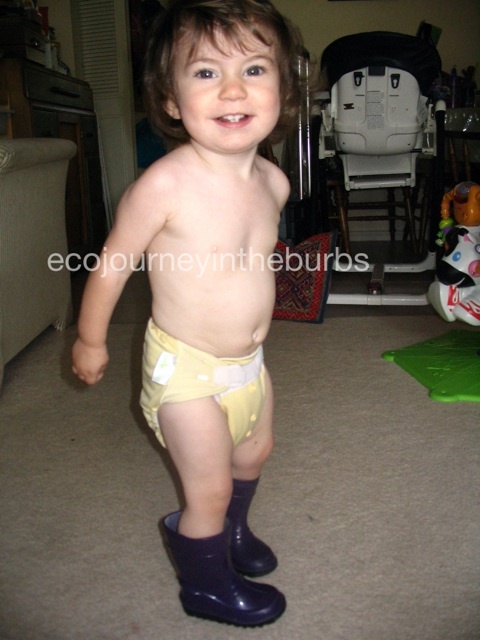 There were the occasional times (like traveling) when I used disposable diapers when they were infants and toddlers, but my older two daughters were largely exclusively cloth diapered. But with each one there reached a point when I started using Pull-Ups along with the cloth training pants. My oldest was out of diapers fairly quickly so this stage was quite brief. With my middle daughter, however, it felt like toilet training took forever (actually it did - she wasn't out of diapers and training pants until three and a half years old). Slim disposable diapers with favourite characters. We used cloth diapers on her almost exclusively until I went back to work when she was 13 months old. At that point we started noticing frequent leaks. I tried stripping the pocket diaper inserts because I assumed that the leaks were caused by soap buildup on the micro fleece or cloth inserts, but that didn't work. Eventually we discovered that the elastic in the leg area was gone and I couldn't find a cost effective way of repairing them (I am not a sewer). I was feeling very overwhelmed with being back at work and still exclusively breastfeeding my youngest. She did not eat solid foods until she was almost 18 months old and my mother had to bring her to my work for me to feed her on my lunch (she wouldn't take a bottle when she was younger and I couldn't pump any milk when she was older). Then when I felt more adjusted to my life I tried to use cloth diapers with her again and she would have none of it: screaming, trying to take them off, refusing to walk. Yes, I could have continued with the pre folds and diaper covers, but I didn't. I gave up because I was tired and stressed and for the first time in almost seven years I felt like cloth diapering was too much work. It was just easier to use Pull-Ups. I look at my cloth diaper stash now and feel emotional. 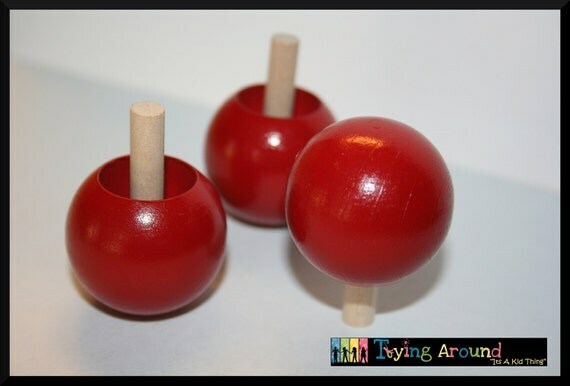 I miss using them and wish I had persevered. But I didn't. I know all about how long it takes disposable diapers to break down in a landfill, the carbon footprint of producing them, how much money it cost on top of the cloth supplies I purchased, and how potentially bad it was to have plastic and bleached products around my child's body. But I did it anyway. I just hope that all the other things we do as a family help make up for the poor choice I made to use disposable diapers. Or at least that's what I tell myself. 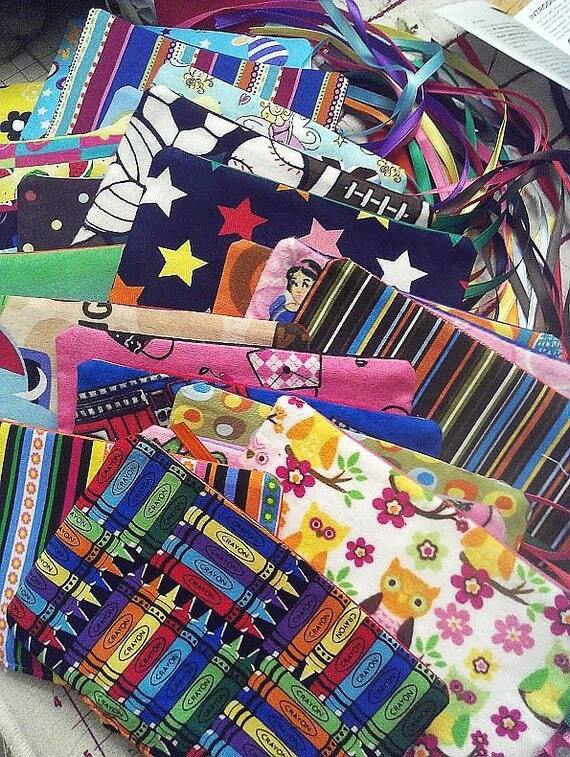 If you have children, have you struggled with the cloth versus disposable issue? We are fast approaching week 4 of living in our (first) new home and things are finally settling into somewhat of a routine. The biggest adjustment (beyond commuting) has been the heating system. Although I *have* paid for heat during university years, since working (going on 8 years) I have lived in apartments where we either a) didn't have to pay for heat but had control or b) didn't pay for heat AND had no control (latter was the last 5 years). Our last apartment was constantly above 25 degrees (celsius) even during winters typically dipping in the -20s C.
Our new home is, unfortunately, heated by oil. Nova Scotia doesn't have a lot of "eco" heating options that we could afford and the challenge of fitting everything we wanted in our home plus a heat pump proved to be next to impossible. Honestly, I think the oil is disgusting (and expensive! 600$ to fill the tank!) but at least our tank is made to accept bio-fuel so should the opportunity arise we will be able to take it. In order to adjust to living like normal people, save money and oil, Andrew and I made the decision to purchase three (!!) 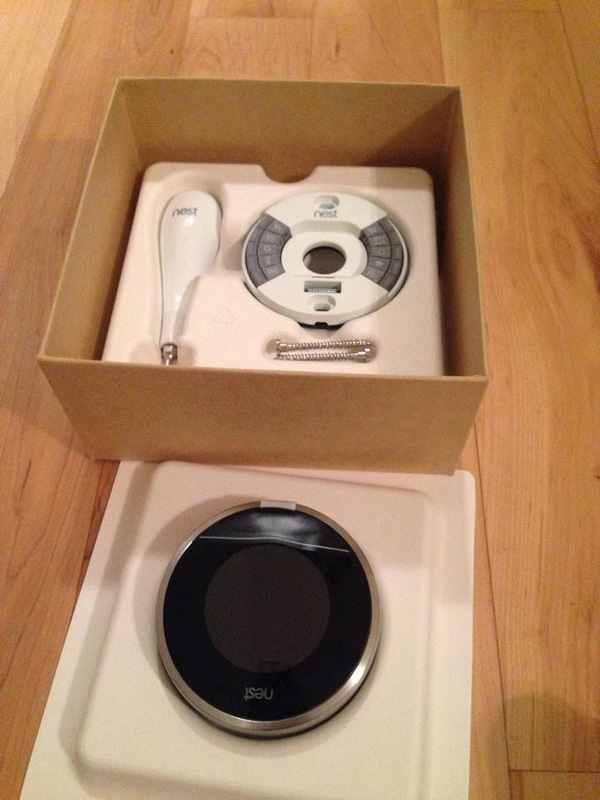 Nest Thermostats. We have five heating zones in our house, so we prioritized three areas we would use the most: Kitchen/Hallway, Living/Music Room, Master Bedroom. The cool thing is that each Nest is networked and they communicate and learn our patterns from each other. They were ridiculously easy to install and so easy to use. Fourth week in and I am so glad we did. It's a smart thermostat that learns from you simply using it like a regular thermostat. 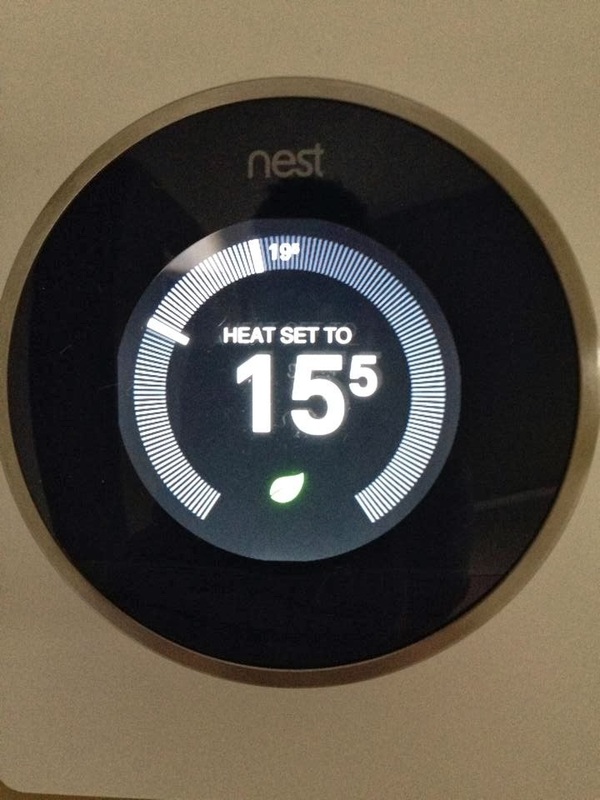 Unlike other "smart" thermostats, the Nest doesn't need programming. Each adjustment is recorded and the Nest is able to learn your patterns, eventually acting independently without you! For example, if on Mondays you typically get home from work at 4pm and turn up the heat but on Wednesdays you get home at 6pm, the Nest will start pre-heating your room for Mondays at 4pm and Wednesdays at 6pm. The Nest also has an "Away" mode (which you set pre-emptively) where after a certain period of no activity (it has motion sensors which record movement) it will automatically go down to your "away" temperature. Regular thermostats are wildly inaccurate in providing exact temperature readings or heating (they can vary up to 7 degrees!). With the Nest we not only set the exact room temperature, but it displays the current temperature AND estimates how long it will take to heat. This allows us to make smarter decisions around heating certain rooms, helps us recognize when certain rooms are harder to heat and think about potential solutions. 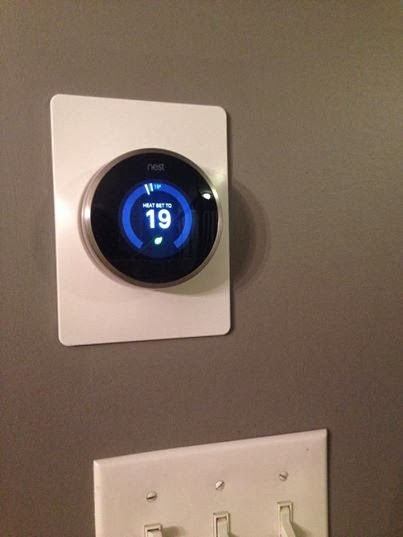 For example, the Nest turns orange when it is in "Heating" mode: if it's constantly trying to bring the room up from 18 to 19 degrees, perhaps we can just live at 18. OR perhaps we need to consider leaving window blinds down in the evenings to conserve heat. I love that at night it pre-heats our bedroom from our regular daily 15 degrees to a toasty 20 for our exact bedtime (10pm!) and then at 11pm it automatically goes down to 17 degrees overnight. We can pre-heat our home or put it in "away" mode from our iphone no matter where we are. We can see our heating schedule it has determined for the week (and adjust if we need to, it continues learning). We can also see the times during the day that were spent heating the house. We've learned this is almost directly related to how cold it is outside that day (which points to the fact that our windows are crappy and we should look into saving our pennies for new ones some day). A little leaf pops up and lets us know when we are being energy conscious. Yay rewards! When the sun shines directly on the Nest, it adjusts and reads the correct (not sunlight warmed) temperature. It looks ridiculously cool and is super easy to use. You just turn the dial and it does the rest. We're fairly sure the Nest will help us save on oil (we already surprise people when we tell them how much (less) we've used from our tank so far), and it definitely makes us much more energy and heating conscious than a regular thermostat. The only downside is that they are fairly expensive (250$ a pop) but we're hopeful that energy savings will eventually recoup this cost. I'm sure we'll continue to find out neat little perks of using the Nest (especially the monthly energy use reports!) but for now we are happy with our investments. The Climate Crusader is planning her daughter's birthday party, and looking for greener goodie bag alternatives. 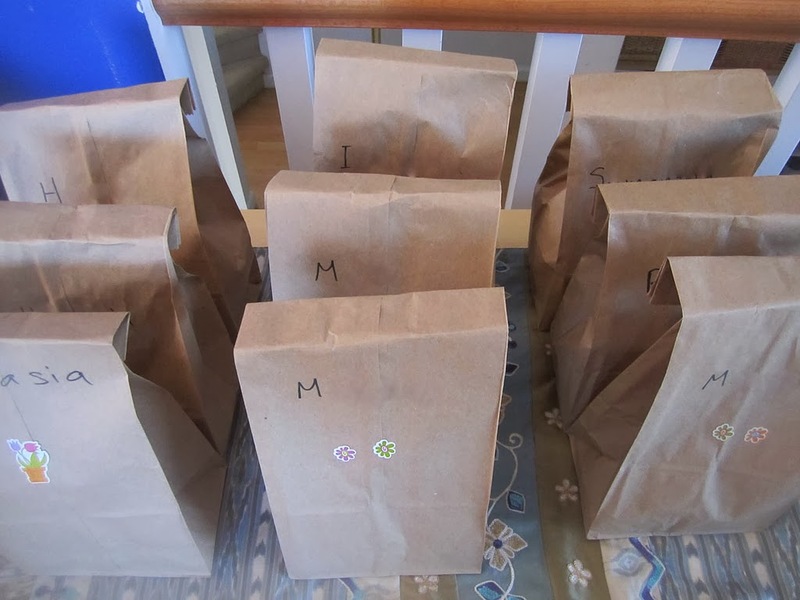 I'm in the midst of planning a birthday party for my almost-nine-year-old, and I decided that this year I didn't want to do a traditional goodie bag (or loot bag, or grab bag - the names for these little bags are endless). In past years I've aimed for fewer, more thoughtfully-chosen items in the goodie bag. Think organic candy, pencils and paper, an eraser, a handful of stickers, all packed in a paper bag. I tried to steer clear of cheap plastic items from the dollar store, while still making something that my children's guests would enjoy. This year I thought I would do something a little different, so I turned to Facebook, and boy did my friends come through. They came up with some great, green alternatives to the traditional goodie bag. Today I'm sharing my five favourite ideas. Gift card - Instead of buying something that your guests may or may not enjoy, get them a $5 gift card to a local toy store or book shop. Or let them treat their parents to a hot chocolate date at a local cafe. 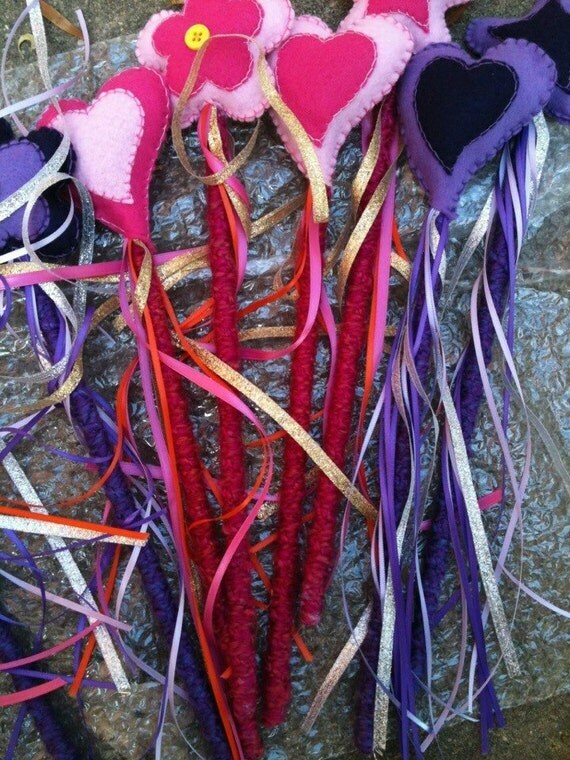 Take home craft - Make a craft as one of the party activities. Decorate cookies or cupcakes, let your guests use fabric paint on white T-shirts, aprons or canvas bags, make sock puppets ... there's no end to ideas. Plant a seed - Small terracotta pots, some soil and a few seeds make for a lovely green gift. You can also have the kids decorate the pots. And either way, the children will learn about growing plants. One larger item - Lots of people opt for one larger gift instead of a bunch of small ones. 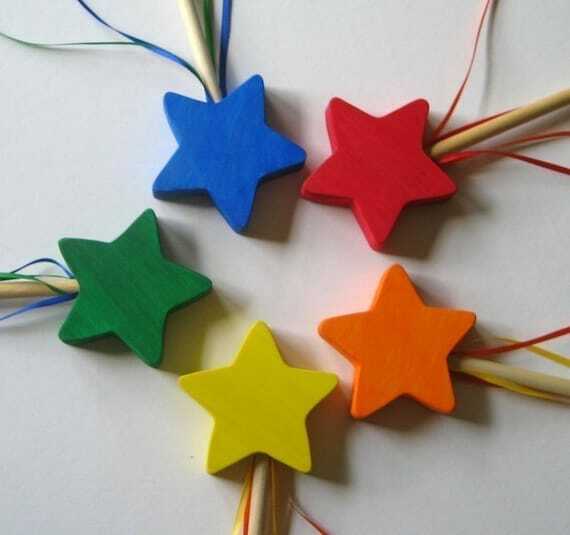 My favourite suggestions were skipping ropes, paints, eco-friendly crayons and kites. or dried fruit, as giveaways. Older kids may also enjoy take-home food kits so they can do some cooking of their own. Books - Books make great giveaway items. To make them more affordable look for bulk packs or buy second-hand. You can also organize a book exchange for the party, where everyone brings a couple of books they're done with and swap them for a new-to-them book. 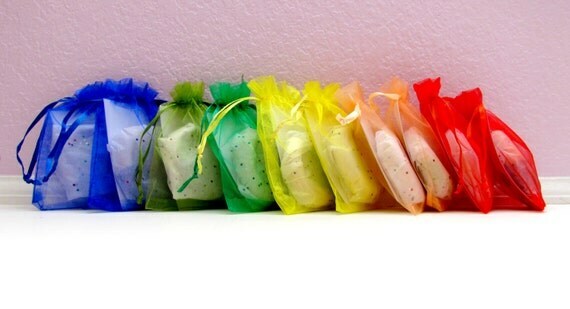 What about you - what are your favourite eco-friendly goodie bag alternatives for your kids' parties? 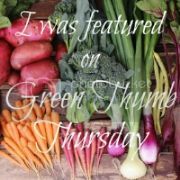 Green Bean recently provided a fantastic list of alternatives to traditional shopping ie. how to avoid the mall! Her fourth point, and my personal favourite, is the suggestion to swap with friends. I've been to a handful of clothing swaps and I have to say, while some swaps are more successful than others, they're always a good time. 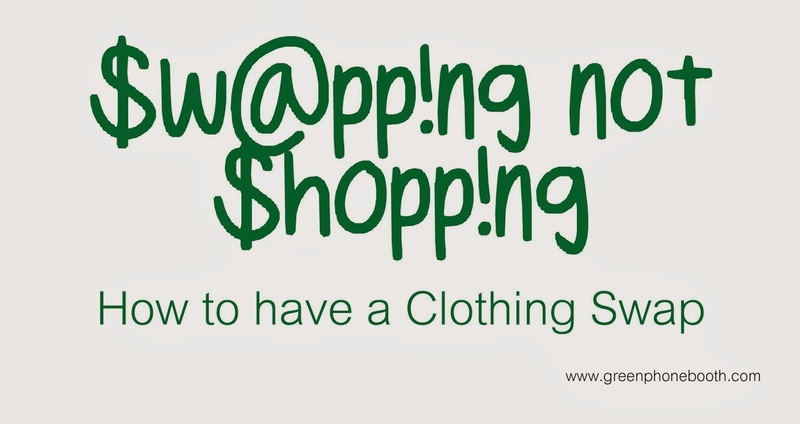 There are a number of strategies for guaranteeing a successful clothing swap. Here are three swapping styles that I've experienced first hand. The Community Swap is a great way to increase the chances that there will be something for everyone and should be open to a broad community. The more people who attend, the more likely there will be a diverse range of sizes, shapes, and styles. Consider having a $2 entrance fee for those who want to attend, but don't have clothes to contribute. Since the size of the Community Swap has the potential to become overwhelming, it's important to stay organized. Have participants sort their clothes by type (pants, skirts, dresses, sweaters, etc.) 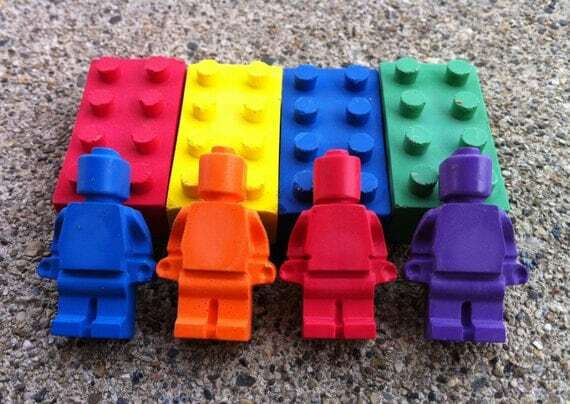 and consider sub-sections by colour or size (though remember that sizes are not universal by designer, and swaps should be inclusive of all body types and sizes). A Community Swap should have a clear start and end time. Participants can be welcome to peruse the piles prior to the start of the swap but no one should take anything until the bell has chimed so that everyone has a chance to get some of the more desirable items - anything good quality or with a fancy label. The Auction swap is great for medium-sized groups, and works especially well if you have multiple people with the same sense of style. It works by having one person (or rotating people) operating as the "auctioneer." The auctioneer holds up the clothing, piece by piece, and participants call out if they'd like to try it on. Breaks are taken periodically for fitting sessions. Depending on the comfort level, and how close of friends everyone is, it can be fun to strip and try everything on in front of one another - have an impromptu fashion show! If things don't fit the first trier-on-er, it goes to the next interested participant, and so on. The Auction works best for people who are patient. Sometimes going through items one-by-one can be tiresome, though it's often worthwhile if there's a great find just for you waiting within one of the piles. The Friendly Free-for-All works best amongst smaller groups of friends. It pretty much works exactly as you would expect it to. Everyone dumps their clothing in piles on a table or the floor and when everyone has thrown in what they brought, people begin to dig. Sometimes you can pull out something with a particular pal in mind, or you can snag something that catches your eye. It sounds like chaos, but it's rare that you'll have multiple people fighting over the same item (though it's been known to happen!). The main problem with the Free-for-All is that items can be overlooked or get lost in the shuffle. Be sure to sift carefully and watch to see what kind of goodies people are tossing back into the pile after their initial grabs. It's a great way to clean out your closet. A swap is a fun way to spend time with friends, or make new ones. A chance to expand your clothing horizons. Since the stakes are so low, you can try things that you would normally skip over in the stores. Sometimes you'll even surprise yourself by finding that sizes and styles that you would usually avoid, might actually fit better than you had expected. If no one wants a particular item for wearing purposes, others can sometimes see the value in the fabric itself; a dress pattern for a new pillowcase, or wool sweaters for felting. All unclaimed, discarded clothing gets donated to charity so it's really a win-win for all who participate. Last week, I was feeling particularly down. The mosquito police dropped by to inspect my rain barrels and wildlife pond due to a neighbor's complaint. The gentleman down the street blissfully hosed down his driveway in the middle of California's biggest drought on record. Massive swathes of the planet will be uninhabitable in 50 years. Just the usual stuff that makes a green girl feel blue. 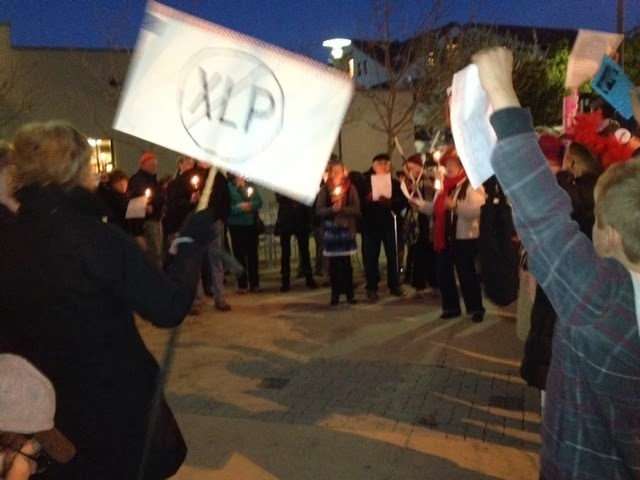 It was a Monday and we had planned on a attending a Keystone XL Pipeline rally that evening. Except that I no longer wanted to go. What was the point? I'm not a protest person. I do better behind the keyboard or stovetop but my kids were excited, having never gone to such an event. So, when the time came, the boys and I grabbed a couple of thrifted candles and trundled down to the vigil in my Prius. We pulled up to a dismal showing. A couple of older women and middle aged one on a bike. "We'll park the car and wait," I advised. "It is cold out." "It isn't quite time." "Let's just see what happens." I held out hope that we could turn around and go home. The boys, with their faces pressed against the quickly fogging glass, counted person after person arriving. Some with candles. Some with signs. Some with dogs with signs. 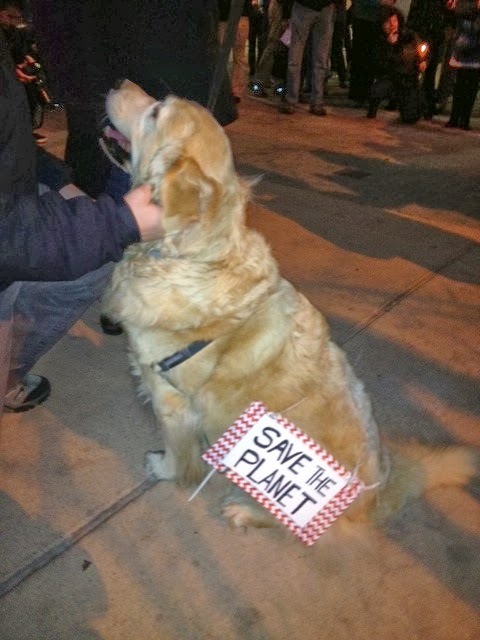 (Might I add that nothing is less depressing than a dog with a sign!) Let's do this thing, I declared and we did. We joined nearly two hundred kindred souls, chanting, singing, waving candles and affirming to ourselves and to each other that we are not alone. That we can make a difference. That hope is not dead. I intended to write this article with a less activist bent. A couple of weeks ago, a fellow tweep told me: "It's pretty easy for people to lose hope... though the best time to plant a tree was 20 yrs ago, the 2nd best time is today. " He was right. In the face of overwhelmingly devastating environmental news, we do need to keep hope alive. So I planned to make an innocuous list of activities that do just that. Planting trees, growing a garden, canning food. All of those things are worthy. All of them should be done. But, in my experience, the most successful way to keep hope alive is to speak out. To get active. And make. some. noise. We will stop this pipeline. We will shift toward a more sustainable future. We will preserve something habitable for our kids. People power will prevail. But only if we make it happen. Who's with me? 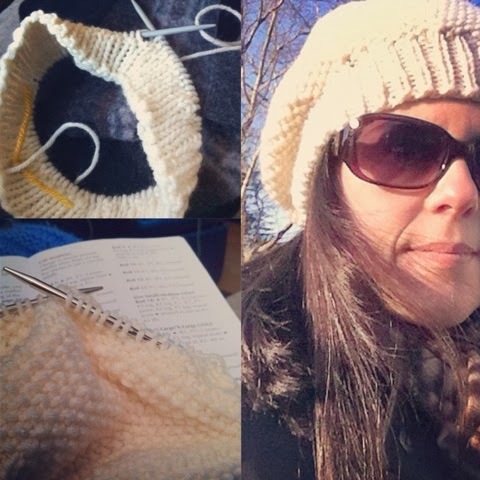 Queen Composter shares her love of knitting. Make things you can wear! My grandmother taught me how to knit when I was young, although not as young as she was when she learned. In England at the time they taught all girls how to knit when they were five years old, and it was a lifetime passion for her. I like how knitting (among other crafts) links me to my mother and my grandmother, and other women through the ages. 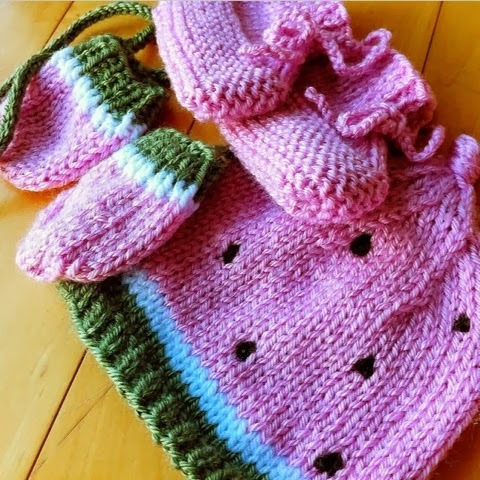 Over the years my love affair with knitting has waxed and waned, depending on the ages of my kids and the time I could devote to it, but I always end up coming back to it. I am by no means an expert; I would call myself an advanced beginner as I have never made myself a substantial piece of clothing like a sweater. Over the past decade knitting has gone through a bit of a surge in popularity, with young people, including men, and even celebrities openly engaging in the fibre arts. It goes along with the resurgence of homespun pursuits of do-it-yourselfers and hipsters. Everything old is new again. 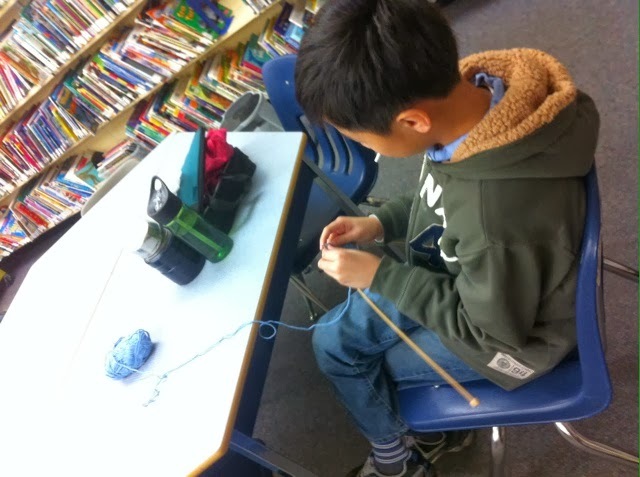 Knitting isn't just for girls anymore. As my grandmother did with me, I am attempting to pass along my love of knitting to the next generation. I gave my daughters yarn and needles for presents two Christmases ago, and every so often they will sit down with me and knit a few rows. 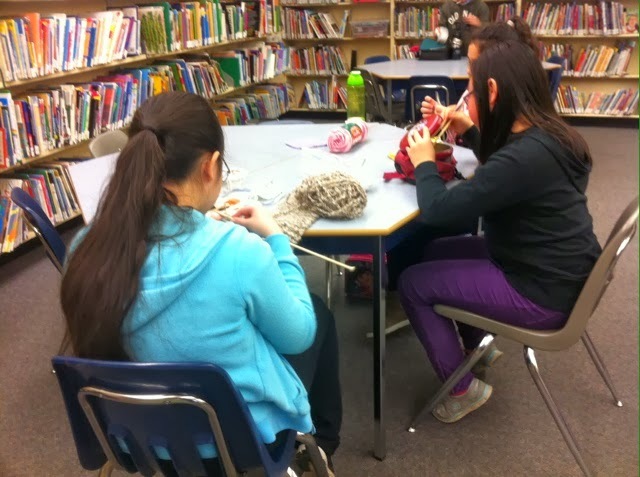 I am also sponsoring a knitting club at my school, teaching interested grade five, six and seven students how to knit basic projects like scarves and soft toys. I am pleased that there are even a handful of boys in the club. So why bother teaching people how to knit when cheap clothing is everywhere? Yarn is expensive and knitting is time consuming. It is easier, and less expensive to just go and buy something machine made. It teaches people the value of things. We do not know the true cost of clothing, as with most things in our global consumer culture, and by taking the time to knit, people come to appreciate what it takes to produce what we use. My students are learning this and are surprised how much work goes into even a simple scarf. Similarly, by knitting, people are learning to slow down and appreciate the act of something, in a mindful way. The slow movement teach us to enjoy the moment in an almost meditative way. There is something about the repetitive clicking of the needles that is soothing and enjoyable. Even though sometimes I would describe knitting as anything but relaxing, like when I’m following a challenging pattern or having to unpick several rows back to find a dropped stitch, knitting can be very relaxing. It supports the local economy when people buy yarn from craft and yarn stores. I realize that many people buy cheap synthetic yarn from big box craft stores, but as an appreciation for knitting grows, the desire for handspun yarn from locally produced wool grows. Like my knitting club, it can connect people in a shared activity. We have both silly and great conversations over lunch hour knitting and I feel more connected with the students. When I seek help from other knitters we do more than just knit together, we talk about our lives, our children, issues that matter to us. Connecting with a community is good for our mental health. It is a low tech activity in a high tech world, and it gives my hands something to do besides play on my smart phone or computer in the evening when I am tired and want to sit and relax. However, ironically, it has given me more reasons to go high tech. I like to follow other knitters on Instagram (including some spinners and hipster yarn bombers) and Pinterest (holy black hole for knitters), and recently I’ve created a Ravelry account to connect with other knitters and seek inspiration. Knitting for babies is so satisfying. 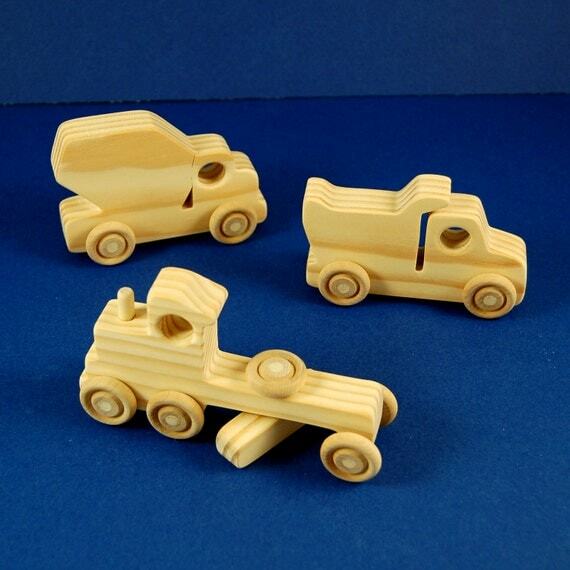 It is a way to make meaningful handmade gifts that have a lighter environmental footprint. Who doesn’t like to receive something homemade? And the giver feels good about giving something of themselves. In the end, people aren’t going to take up knitting for any of the above reasons, they’re going to do it because it is fun and they get to use things they have made themselves. That is satisfaction in itself. 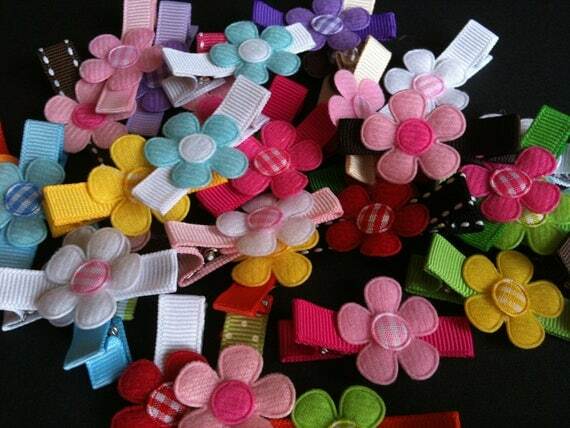 Who else enjoys knitting, sewing, crocheting quilting or anything else handmade? Do you have other reasons why it is good for you?